Despite the hordes of tourists that land on Vietnam every year, the country has managed to maintain its exotic flair – a cloak of mystery and romantic elegance – that leaves no heart untouched. The brutality of 100 years of wars is reminded only in the respective memorials, and the inevitable scars are being patiently healed through the smiles that adorn the faces of the locals. There are peace and serenity in the landscape, and these qualities infuse the souls of the people who tread the muddy paths along the lines of the rice fields. To this day, I reminisce about my trip to Vietnam with tenderness and nostalgia, holding five aspects of the itinerary as my fondest memories. The origins of this part of the town date to the beginning of the 11th century and the Lý Dynasty. This residential and commercial centre kept expanding for the centuries, welcoming – just like any urban settlement – many people migrating from the surrounding plains. It is also known as the area of the 36 streets, referring to the 36 guilds that used to thrive – one in every road – and whose activities are still noticeable today. The countless shops that stand at the side of the pavements are authentic, original, and artistic, and you can find several treasures on their shelves. 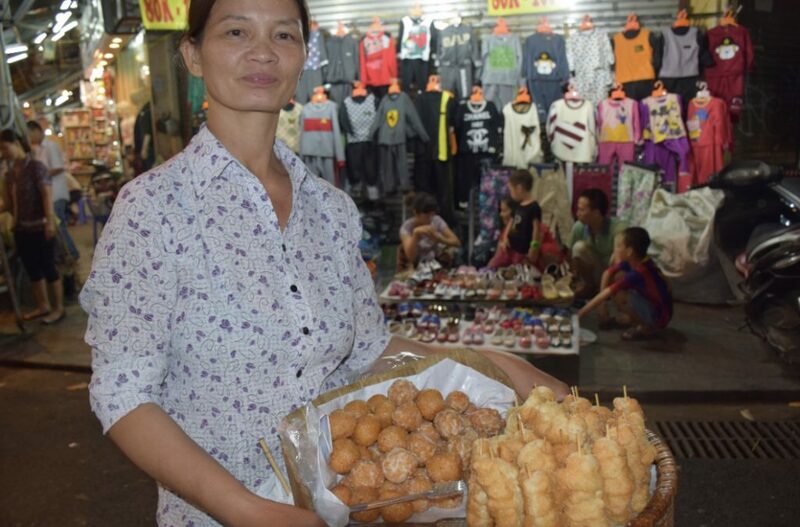 The sidewalks are dotted with the small stools and tables that the locals use, occupied by groups of friends, neighbors, shop owners, and itinerant merchants, all chatting incessantly. 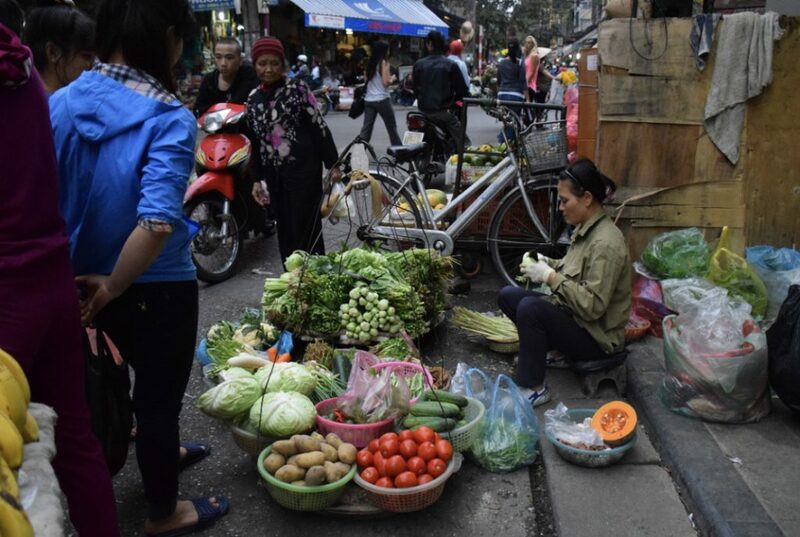 Observing how life unfolds by the side of the road is mesmerizing, and maybe one of the best things to do while in Hanoi. 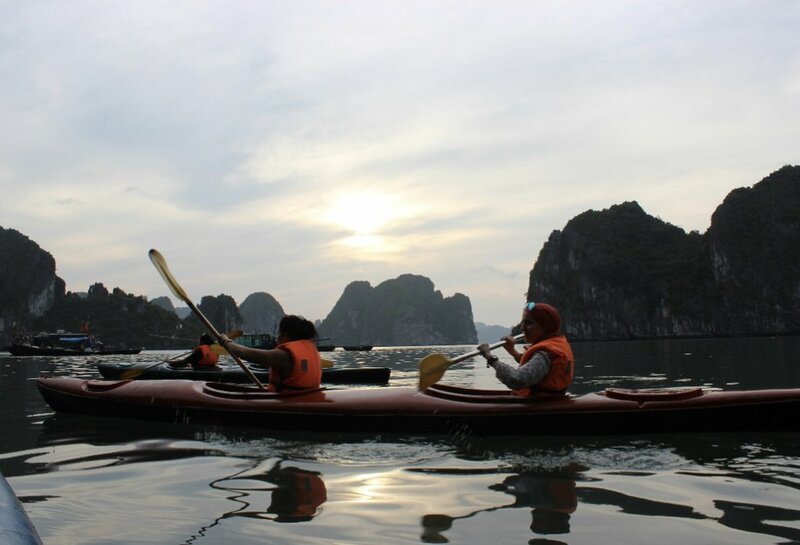 Vietnam is almost synonymous with the mysterious formations of Ha Long Bay – and for a good reason. It may seem like a cliché, but nothing can beat the ambience of these limestone rocks protruding through the malachite-hued waters, in shapes that have been triggering human imagination for ages. The trip on a boat has its own charm, the colorful caves are interesting, but sliding with a kayak on the mercury-like surface close to sunset time, and then musing on the deck as the evening shades gradually cover the landscape is unforgettable. 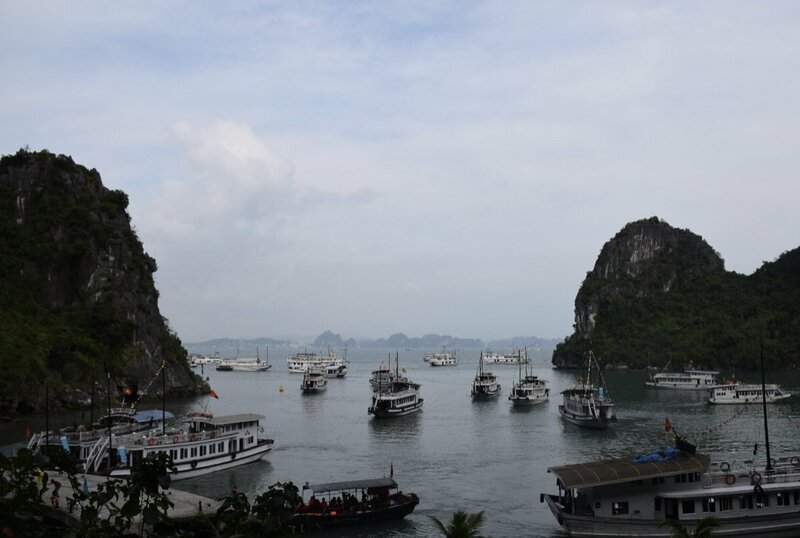 The north of Vietnam, close to the Chinese borders, remains a less-visited area and, thus, more genuine. 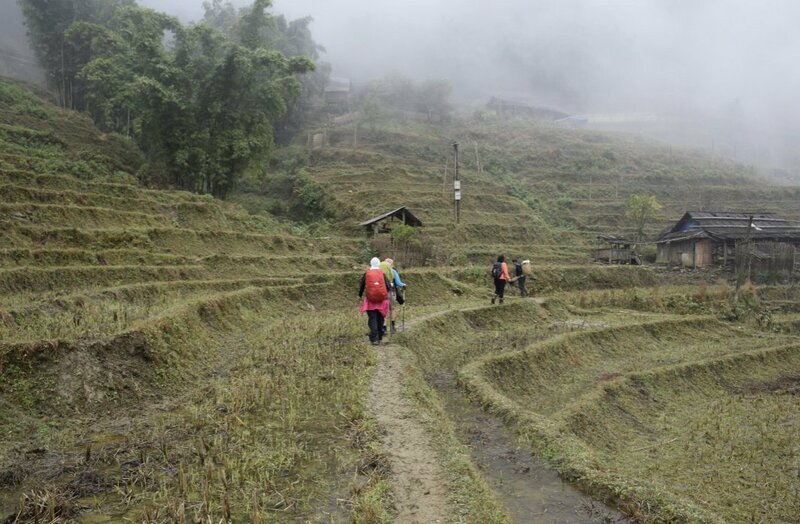 From Sapa town, one can embark on short or long hikes in a region that is mountainous and less fertile than the rest of the country, and, yet, is filled with rice terraces, wet trails, waterfalls, bamboo forests, and tranquil landscapes. The paths are comfortable, and the land wants to be trodden, for there are tales and myths and stories that can be recounted only at the rhythmic sound of one’s footsteps. 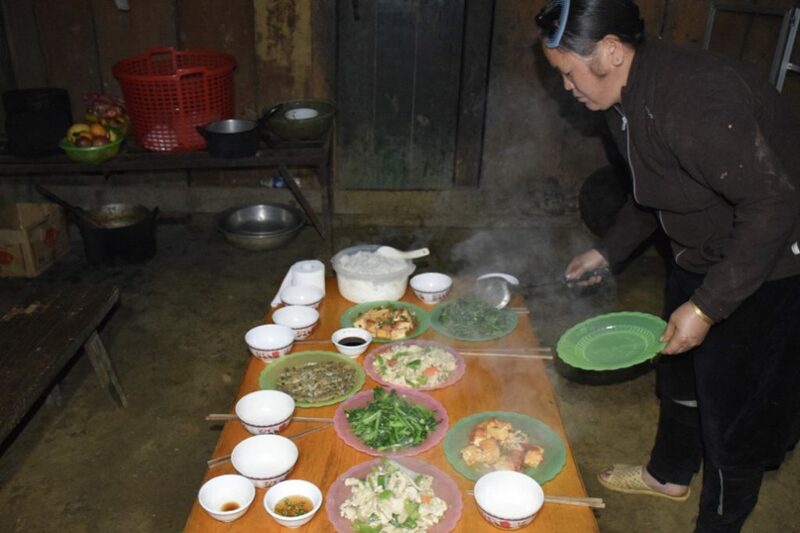 Homestays in the northern part of Vietnam are a unique experience on their own. The amenities are limited, and the conditions often surprising, but this is the only way to become a part of the locals’ life. 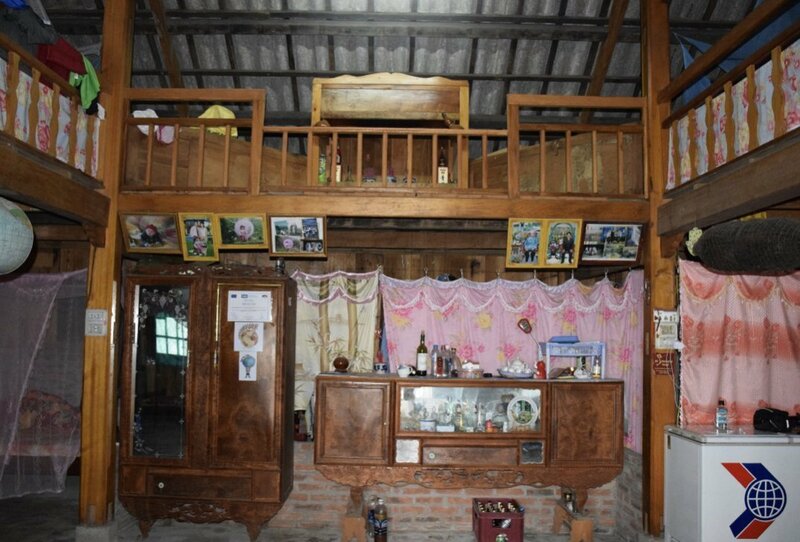 You will prepare dinner in the small kitchen on the ground floor, gather all around the dwarf table, and then crawl to the mattresses on the top floor, protected by mosquito nets, possibly next to the ancestors’ corner. Some houses are better than others, but they all reflect a way of living that is not familiar to us, and, because of that, it is interesting to explore and understand. 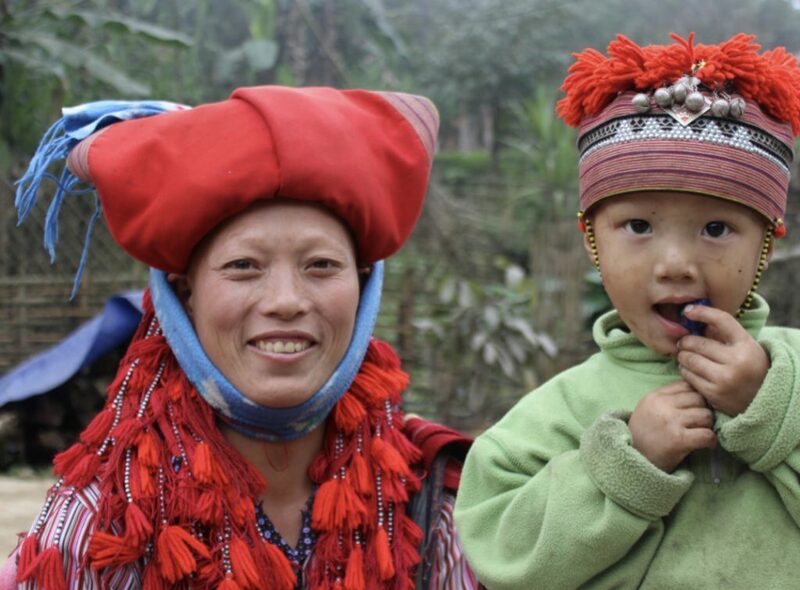 Vietnam boasts of being home to 54 ethnic groups, each having its own dress code, customs, regions, and practices. Regardless of the area that you will finally visit, connecting with these tribes and trying to decipher the elements that put them apart as a group is a cultural exercise that will only leave you more fulfilled and compassionate at the end. 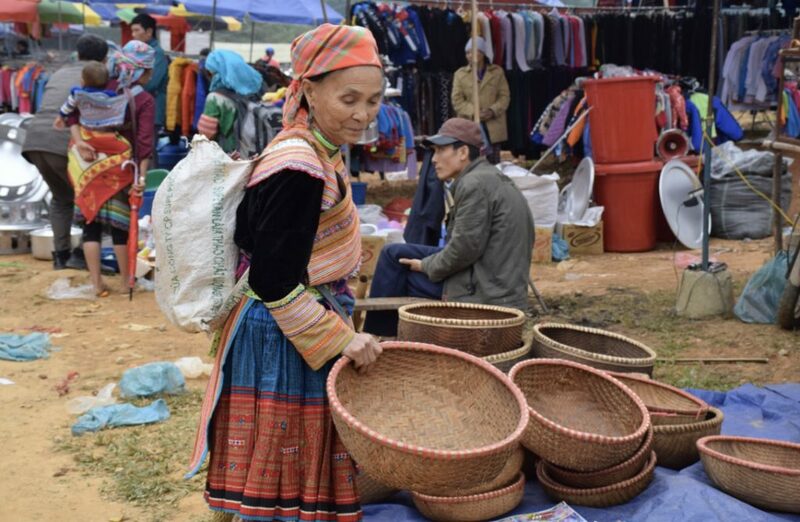 In my trip, we mostly saw the Black H’mong, the Red Dao, anD the Tay people, excluding the Kinh which is the predominant group and, as it is more westernized, is less exotic than the rest.